Average wedding costs have dipped 12% in the first quarter of 2009 with 62% of brides cutting back on wedding expenses. 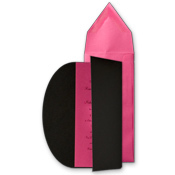 Every bride has a budget, but no bride wants to spare any expense on their wedding invitations or wedding accessories. First Class Wedding Invitations debuts a brand new website with unique invitations and wedding accessories perfect for any bride’s budget. 1st Class Wedding Invitations, the online leader in Wedding Invitations perfect for any bride has announced the launch of their brand new website just in time for the bride on a budget. According to “The Wedding Report”, average wedding costs have dropped 12% in the first quarter of 2009 as 62% of couples have reportedly trimmed their wedding budgets due to the current economy. Brides are making efforts to save as they make their wedding plans and lst Class Wedding Invitations is ready to help. Wedding invitations set the tone for a wedding so they need to be elegant and impressive, and affordable too. Now offering an expanded line of fresh and affordable wedding invitations to fit any wedding budget, lst Class Wedding Invitations is happy to announce the addition of new accessories and stationery designs that are completely customizable. When the invitation is the first thing you see, leading up to the actual event, the craftsmanship, color palette and presentation of the wedding invitation that sets the tone for your event is an all important first step. The new 1st Class Wedding Invitations website design is attractive and easy to navigate, making the wedding stationery selection process an enjoyable experience for all involved. Chic and striking invitation designs include an unforgettable collection of styles for any bride, whether she wants to infuse something whimsical, or go first class -- at affordable prices that won’t break the newlywed bank. Selections include the most popular new trend wedding invitation styles for 2009 such as pocket wedding invitations and bold colored invitations that include response cards, reception cards, wedding announcements and more, from the nation’s top wedding invitation manufacturers and designers. When a bride visits 1st Class Wedding Invitations.com, she will experience new design elegance that showcases a quick view of the freshest and most popular wedding invitations and wedding announcements sold anywhere. With quality invitations from the top national brands featured, couples will see hundreds of designs in easy to browse categories. The customer friendly online ordering process allows everyone to preview their personalized items instantly. 1st Class Wedding Invitations even provides free invitation samples upon request for review before placing an order so that the bride and groom will have an opportunity to see and feel their favorites before making that final selection. 1st Class Wedding Invitations is proud to offer first class customer service from experienced wedding planning professionals 7 days a week by phone, fax or email. And now, brides will find wedding accessories that will add to the splendor of their wedding day with wedding napkins to inspire any color palette in luncheon and beverage size. Often it is the small touches that matter most and 1st Class Wedding Invitations is happy to offer wedding favors to complement any event. With all wedding needs at one trusted location, 1st Class Wedding Invitations is sure to be a popular destination for budget conscious brides searching for beautiful wedding invitations and exciting wedding accessories that are the perfect fit for their big day! About 1st-Class-Wedding-Invitations.com: Founded in 2003, 1st Class Wedding Invitations has grown to be a leading online resource in the selection and ordering of signature wedding invitations for engaged couples throughout the United States. While traditional wedding invitations are the choice of most couples, 1st Class Wedding Invitations also offers chic and expressive invitations with flair to accommodate any personality. In addition to its comprehensive e-commerce website, First Class also offers personal one on one consultation by phone through a staff of Professional Invitation Consultants. 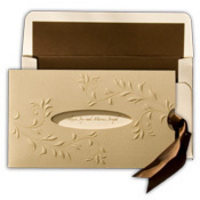 Wedding Invitations set the tone and theme of your wedding, and 1st Class offers free samples of wedding invitations so you can see the quality, color, and style of the invitations before ordering. This combination of service and reliability has made 1st Class Wedding Invitations one of the most trusted online brands and reduces the stress of ordering invitations while delivering a First Class experience.